Whole Health Source: Is Sugar Fattening? Buckle your seat belts, ladies and gentlemen-- we're going on a long ride through the scientific literature on sugar and body fatness. Some of the evidence will be surprising and challenging for many of you, as it was for me, but ultimately it paints a coherent and actionable picture. Introduction: What Exactly are Sugar and Starch? In this post, I'll be using the word 'sugar' to refer to three things: 1) sucrose, or table sugar, 2) high-fructose corn syrup (HFCS), and 3) fruit and honey sugars. Sucrose is composed of one molecule of glucose and one molecule of fructose, linked together, and it is therefore 50:50 glucose:fructose. When you eat sucrose, this bond is rapidly broken, releasing free glucose and fructose, which are then absorbed. HFCS is a mixture of free glucose and fructose that comes in two common varieties: 42:55 and 53:42 glucose:fructose. The former is most often used in soft drinks, while the latter is most often used in baked goods. Since sucrose and HFCS are both refined sugars composed of roughly half glucose, half fructose, one would expect them to have similar effects on the body, and controlled experiments overall have confirmed this. Fruit sugar is a mixture of sucrose, free glucose and free fructose. Honey is composed of roughly half free fructose, and half free glucose, but the ratio depends on the type of flowers visited by the bees. Glucose is the form of carbohydrate that predominates in the blood, and along with fatty acids, it's one of the two primary fuel sources for the body. Starch is composed of long chains of glucose that are rapidly broken up during digestion. Because of this, dietary starch is similar to dietary glucose in the way it affects the body after ingestion. The earliest primates living more than 60 million years ago likely subsisted on fruit, leaves and insects, as most primates do today (Richard Klein. The Human Career. 2009). Chimpanzees and bonobos, our closest living primate relatives (~6 million years of divergence), are mostly frugivorous, meaning they're fruit eaters that obtain much of their energy from fruit sugars. For what it's worth (perhaps not much), these primates are both extremely lean in the wild. It's likely that our last common ancestor with them relied heavily on fruit. Humans probably began to diverge from our ancestral primate dietary patterns around 2.6 million years ago when we developed stone tools. Archaeologists think this is when pre-humans began hunting/scavenging animal foods more frequently and relying more on animal sources of nutrition (Richard Klein. The Human Career. 2009). Some time over the ensuing two million years or so, we began using fire regularly and eating more starch foods, also presumably at the expense of leaves, fruit and insects. However, our ancestors never abandoned their fruit-eating ways, and modern hunter-gatherers continue to eat fruit and honey when available. In equatorial and many temperate regions, fruit and honey together are a major source of calories during much of the year, and thus the diet contains a significant amount of sugar. For example, the Hadza hunter-gatherers of Tanzania rely heavily on fruit and honey ( 1). !Kung hunter-gatherers of the Kalahari desert also eat a substantial amount of fruit and sometimes honey (Richard Lee. The !Kung San. 1985). Both groups are characteristically lean. These cultures presumably eat in a way that resembles the diet of our own human ancestors. There are also many examples of non-industrial horticultural and agricultural groups that eat fruit regularly. For example, according to the work of Dr. Staffan Lindeberg, residents of the Melanesian island of Kitavans obtain 50 g of carbohydrate per day from fruit, most of which would presumably be sugar (2, 3) . This is about half the amount of sugar Americans eat today (discussed below). Dr. Lindeberg's research showed that Kitavans are quite lean, and have an undetectable incidence of heart attacks, stroke and diabetes. Their fasting insulin levels are low by Western standards. It is difficult to escape the conclusion that our ancestors have been consuming sugar, in the form of whole fruit, continuously for the last 60 million years. Sugar intake in the US has increased greatly over the last 200 years, mostly due to an increase in added refined sugars. In 1822, the average American consumed an estimated 6.3 pounds of added sugar per year, while in 2004, consumption had increased to 101 pounds per year, a 16-fold increase. This sounds like it could seriously implicate sugar in the obesity epidemic, but a closer inspection of the numbers complicates matters. The CDC's NHANES surveys documented the beginning of the US "obesity epidemic" between the 1978 and 1991 survey periods, as well as a continued increase in obesity rates throughout the 2000s. Between 1978 and 2004, the prevalence of obesity in US adults increased from 15 to 33 percent (NHANES). Over that same time period, added sugar intake increased from 86 to 101 pounds per year, a 17 percent increase. On this basis, it could potentially be a factor in the obesity epidemic. However, there are clearly other factors involved, since a 17 percent increase in sugar consumption cannot reasonably account for the full 120 percent increase in obesity prevalence over this time period. We find no reason at present to associate high consumption of sugar with obesity. What the authors are referring to is that four out of the six studies they reviewed found that people who eat the most sugar are the leanest, and the remaining two studies found no association. The authors found an inverse relationship between sugar intake and dietary fat intake, and speculate that the reason people who report higher sugar intake are leaner is because they eat less fat. These findings for specific foods suggest that participants over-reported consumption of foods often considered desirable or healthy, such as fruit and vegetables, and underestimated foods considered less desirable. The degree of under-reporting is probably not evenly distributed across the populations they're studying. This is a problem that often plagues observational studies but is typically ignored. What about sugar-sweetened beverages (SSBs) such as soda? In contrast to total sugar intake, higher intake of SSBs is generally associated with higher body fatness (6, 7). In recent years, researchers have gotten more sophisticated about measuring fat mass, and now they often look at body fat distribution rather than simply total fat mass. A recent study found that fructose intake, mostly from sweetened beverages and food, was not associated with total body fatness in US adolescents, but it was associated with higher visceral (belly) fat mass specifically (8). It was also associated with insulin resistance, markers of inflammation and higher blood pressure-- all components of the metabolic syndrome. As we will see, this finding is quite representative of the research on sugar as a whole. Overall, the observational evidence suggests that sugar in the form of SSBs is associated with elevated body fatness, but total sugar intake is not. This is our first clue that this story may be more complicated than "sugar makes you fat". There have been literally hundreds of animal studies on sugar and body weight/fat gain, most of which were conducted in rodents. Sugar, when compared to starch in the context of a pelleted diet, can promote body fat gain in rodents in some contexts (9, 10, 11), but in some cases sugar actually leads to similar or even less less fat deposition than starch (12, 13, 14, 15) . Diets high in sugar and fat together tend to be the most fattening of all (16, 17). The most commonly used fattening rodent diet, Research Diets D12492 (and related diets), is 34 percent fat and 9 percent sugar by weight (60 and 7% by calories, 18 ). This recipe was created by trial and error, and it's very effective at rapidly producing obesity in rodents-- more effective than any high-sugar low-fat diet. We'll come back to why the composition of D12492 is an obesity "sweet spot" in a moment. There's another way to fatten rodents using sugar-- add it to the drinking water. Offering rodents sweetened liquids consistently causes body fat accumulation (19). Rats like sweet fluids, and the more sugar you add, the more they drink relative to plain water... up to a point. Beyond 27 percent sucrose (w/v), their sugar water intake plummets, and they go back to preferring plain water by 37 percent. There's a simple reason for this: they don't like the taste. Rats and humans alike have a palatability "sweet spot" for sugar, and exceeding it makes food unpalatable (commercial sweetened beverages are all within the human sweet spot). Sugar tastes good, but imagine yourself getting 70 percent of your calories from plain sugar cubes. You would get sick of it almost immediately. Together, this suggests that sugar may cause body fat accumulation in rodents in large part because it tastes good and it's rewarding, rather than because of some inherent metabolic effect of sugar. To further explore this point, let's take a look at studies that compared refined glucose and fructose feeding. Glucose, as we've discussed, is metabolically very similar to starch after consumption, because starch breaks down into glucose rapidly in the gut. Sugar (sucrose or HFCS) is roughly 50:50 glucose and fructose. So any inherent metabolic effects of sugar that are different from starch would be expected to come from the fructose portion. Directly comparing dietary glucose to fructose allows us to approximately control for the sweetness (flavor) of the diets while identifying any unique fattening effects of fructose. This is the limitation of studies that compared sugar to starch: palatability/reward differed between conditions, so there's no way to know for sure which effects are due to palatability/reward, and which are due to inherent metabolic properties of sugar. The studies that compared glucose to fructose are surprisingly consistent with one another in rodents, dogs, and (discussed below) humans. When diets high in glucose are compared head-to-head with diets high in fructose (and sometimes sucrose), the fructose diet increases circulating insulin, causes insulin resistance in the liver, but total body fatness remains similar between the glucose and fructose groups in almost every case (22, 23, 24, 25, 26, 27, 28). This is also true if the sugars are administered side-by-side in drinking water (28a). There is no difference in the effects of glucose, fructose or sucrose on total body fatness in animal models, suggesting that sugar probably does not have an inherently fattening effect that is independent of its calorie content and flavor. Now, let's get back to that extremely fattening pelleted diet, Research Diets D12492. A central reason why it's so fattening to rodents is probably because it combines 1) a preferred concentration of fat, 2) a preferred concentration of sugar, 3) a high energy density, 4) a soft and preferred texture, and 5) constant accessibility. Both fat and sugar are in the palatability/reward sweet spot, neither too high nor too low, and rodents are crazy about the taste of it. It's right under their noses all day, and they have nothing better to do than eat it*. As a whole, the animal research suggests that sugar and fructose are probably not inherently fattening, but that they can be fattening when they are used to increase the palatability, reward value and energy density of foods and beverages. A considerable number of the normal subjects claimed that their physical condition improved while they were on the diet. Some were convinced that their stamina increased and that their ability to undertake strenuous physical tasks and to compete in sport improved. A few of these who were mildly overweight, found this diet an excellent incentive to reduce, and consequently showed a greater decrease in weight than the others. 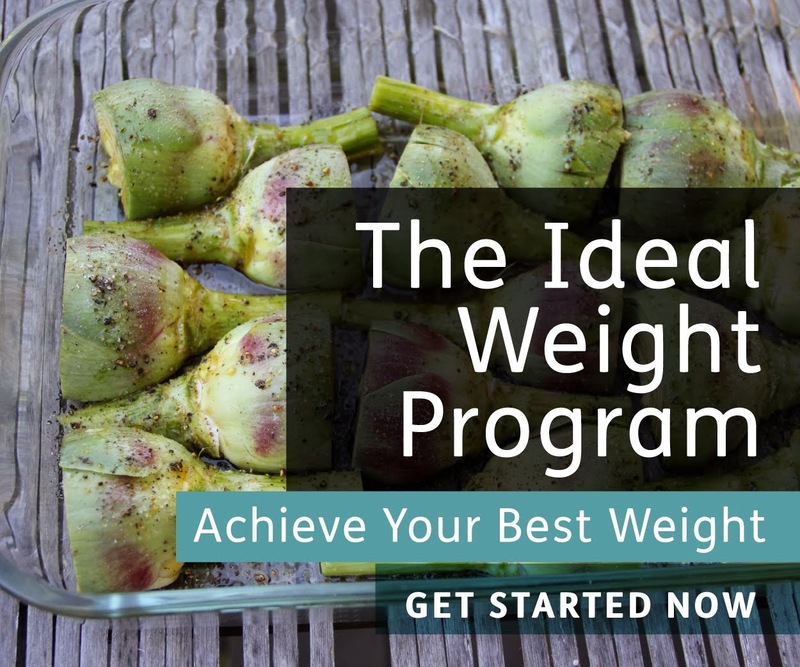 An interesting aspect of the diet was the tendency for the weights to level off more or less at the 'theoretically ideal' weight for the subject. This may partly explain why some lost more weight than others. These people obtained the majority of their calories from unrefined sugar for 6 months, yet their body weights approached the 'theoretical ideal', with lean subjects remaining lean and overweight subjects losing weight. This finding is difficult to reconcile with the idea that sugar is inherently fattening. It is also an excellent illustration of a 'simple' (reduced reward) whole food-based diet normalizing body fat mass in humans. I think this diet isn't nourishing enough to be sustainable in the long term, but it certainly emphasizes the benefit of whole, simple food on body fat mass, regardless of sugar content. A second example of weight loss on a high sugar diet is the "bland liquid diet" study I've referenced on this blog several times. Volunteers were restricted to a bland liquid formula that was high in sugar, but were not asked to restrict calories. While lean subjects maintained a normal calorie intake and body weight, obese subjects experienced a greatly reduced appetite and rapidly lost weight, with one man losing 200 lbs over 255 days (30). This once again shows that weight loss is possible on a high-sugar diet if it's lower in palatability and reward value. None of the diets were calorie restricted. Over the course of 6 months, group #2 lost 9 pounds (4.25 kg), but there were no significant changes in group #1 or #3 (although group #1 did lose 0.6 lbs). This suggests that sugared and fatty foods are equally fattening in the context of a typical diet, since substituting one for the other had no effect on body weight. However, replacing fatty foods with starchy foods produced weight loss, suggesting that the most commonly eaten sugared and fatty foods are fattening relative to starch foods. This study was unique because it replaced one thing with another rather than simply restricting or adding foods. There are several studies showing that high-sugar diets do not impair weight loss in the context of a low-calorie diet (32, 33) , once again confirming the primacy of calorie intake in weight loss. In perfect agreement with the animal studies in rodents and dogs, total body fatness increased the same amount in both groups provided with refined glucose- or fructose- sweetened beverages. Also reminiscent of the animal studies, the fructose group saw a rapid increase in visceral fat specifically, an increase in fasting insulin and insulin resistance, and an increase in blood pressure. Thus although the refined fructose strongly promoted elements of the metabolic syndrome, it did not have any special ability to increase total fat mass beyond what occurred simply by adding a sweetened beverage to the diet. It's worth noting that these volunteers were receiving very large quantities of refined fructose, which it would be difficult to obtain via a normal diet. This result is consistent with a number of other fructose feeding studies in humans, reviewed in a brand new paper in the Annals of Internal Medicine (35). The investigators reviewed 41 human fructose feeding trials. They concluded that fructose is not fattening when substituted for other carbohydrate in the diet, but it can be fattening if consumed in addition to the typical diet. This fattening effect is equivalent to what one would expect based on the increase in calorie consumption in these trials. OK, so high-sugar diets don't necessarily produce body fat accumulation in humans, and they can even allow body fat loss under some circumstances, but are there situations where sugar can cause fat accumulation? The answer is an emphatic yes. The most convincing studies in this regard were aimed at reducing the consumption of SSBs such as soda. These generally show that replacing sugar with starch or non-caloric sweeteners leads to reduced calorie intake and weight loss (36). In one recent study, investigators recruited obese and overweight volunteers, and had them replace the SSBs that they were already consuming with either diet beverages or water (37). Over a 6 month period, both groups lost about 5 pounds, much of it from their abdominal region, suggesting that the SSBs were one of the reasons they carried excess fat to begin with. The controlled human studies once again suggest that sugar and fructose are not inherently fattening, but that refined sugar can cause body fat accumulation when it's used to increase the palatability, reward value and energy density of food and beverages. However, excessive consumption of refined sugar can promote elements of the metabolic syndrome, and this is due specifically to its fructose content. Sugar, including fructose, is not inherently fattening relative to other calorie sources, and unrefined sugar is compatible with fat loss in the context of simple whole food diets. Sugar can be fattening in certain contexts, specifically if it is added to foods and beverages to increase their palatability, reward value and energy density. Sugar-sweetened beverages are probably one of the most fattening elements of the modern diet. Fruit is not fattening, and it may actually be slimming. In excess, refined sugar can cause body fat to redistribute from the subcutaneous depot (under the skin, where you want it) to the visceral depots and the liver (where you don't want it). It can also cause insulin resistance in the liver and increase blood pressure, all components of the 'metabolic syndrome'. This is caused specifically by the fructose portion of the sugar. Avoiding sugar-sweetened foods, and particularly sugar-sweetened beverages (soda, punch, sweetened coffee, cocktails, maybe fruit juice as well?) can prevent and to some extent reverse fat gain and metabolic dysfunction. I see no reason to believe that refined and unrefined sugars, used in the same context (e.g. muffins baked with white vs. brown sugar), would have different effects on body fatness. However, unrefined sugars may be less harmful to other aspects of health, because they contain other substances that may be protective. Mark Sisson discussed this idea in a recent post on honey (38). Eating fruit does not contribute to fat gain in most people, but instead probably favors leanness. Fruit is a whole food with a low energy density and a moderate palatability and reward value. * This is actually a bit of an oversimplification. Rats will gorge themselves on this food for about two weeks, gain a bunch of body fat, but then their food intake returns to normal (this is presumably the energy homeostasis system kicking in as leptin and insulin levels rise). Despite the normalized calorie intake, they continue to gain fat at a slower rate. Furthermore, they will gain fat even if, from the very beginning of the experiment, you only allow them to eat the same number of calories as the regular unrefined chow group (39). This shows that these diets are not simply fattening because they cause increased food intake-- it's more complicated than that. This could still be explained by the reward/palatability value of the diet, if we invoke the idea that reward and hedonic centers act on energy homeostasis centers in the brain, favoring the 'defense' of a higher fat mass (40). But there are other contributing factors as well, such as the inflammation and lipid accumulation that develop in the hypothalamus and lower leptin and insulin responsiveness. Excellent post! This fits with my N=1 experience over the last 22 days. I've been on a slow but consistent weight loss diet of the low-carb variety. Because of some issues it was causing me I changed things up adding yams, potatoes and fruit in significant amounts. Not only did this not cause a stall but in the last month (give or take) I've lost 3" off my belly and 3" off my hips. There was some other loss on thigh, bicep, and calf but these are not as significant and vary from measurement to measurement based on the days activity. The only exercise is a few sprint workouts and some hiking. I love breathing fresh air. Thanks Stephan. Very nice. I've been very suspicious of the fruit fear-mongering of recent years in various Paleo/low-carb circles. After all, humans evolved in areas where fruit was abundant (as you touched on in the beginning of the article) and it would seem counter-intuitive to think such a staple should be avoided. When comparing modern cultivars to tropical varieties, sugar content seems to be very similar. Thanks for putting this together. I would like to see some discussion of the effect of sugar with or wothout the presence of grains and vegetable oils in the diet. I can't trust the conclusion that refined sugar and SSB's contribute to obesity when people who eat a lot of refined sugar generally eat a lot of grains and vegetable oil as well. A study of Ray Peat type eaters who limit grains and PUFAs but eat refined sugar would be useful. Hi Stephan, I really appreciate the amount of work you put into compiling this data. About starch vs. refined sugars, I think there is another weight-loss advantage to the former that we've been skipping: that of caloric energy loss due to the body's digestion effort. If the body has to break down a food in order to get at its glucose, you are consuming less net calories in the end due to this inefficiency. I think this is the paradigm we lived as hunter gatherers and that's why starch is the preferred fuel source. Refining foods, whether oil or sugar, ADDS calories. This is why unrefined foods will cause weight loss regardless of the macronutrient content of the diet. 4. Fruit is not fattening, and it may actually be slimming. As someone who tends to fatten very easily, this has infact also been my observation. The problems only start once I try to eat starchy foods, ( bread,rice,wheat,potato's). Banana's seem to be the only fruit which is a bit dodgy for me. the diet with fruit and nuts - what's your take on the Jaminet line about the inflammatory effects of ingesting large amounts of PUFAs with fructose (ie fruit 'n'' nut? Another very interesting article by the way- thanks for your work. "If the body has to break down a food in order to get at its glucose, you are consuming less net calories in the end due to this inefficiency." Enzymatic hydrolysis is ~100% efficient, otherwise eating a large amount of sucrose would cause GI distress. If someone lacks lactase, consuming more than ~5g of lactose causes colic, wind & diarrhoea. Nigel, I meant the hydrolysis itself is costly to the body calorically, hence the net calories you consume are less. I didn't mean the hydrolysis isn't 100% efficient. In contrast to starch, glucose powder is absorbed without any bodily "cost" to break it down. Great post. Being a beekeeper, I am breathing a little easier. This isn't necessarily about sugar vs starch, but it does involve high amounts of sugar and is quite interesting. "Nigel, I meant the hydrolysis itself is costly to the body calorically, hence the net calories you consume are less." Do you know how many calories the body expends in secreting digestive enzymes? I wouldn't have thought a lot. In addition, proteins require peptidases and fats require lipases, so there are losses involved in the digestion of every food group. Some people will remain fat ( lon gterm) no matter what diet composition they have - Dr. Linda Bacon Ph.D. The body is ultimately in control. Genes matter most. Those with lean genes will not get fat just because portion sizes increase. I've read just about all of your posts, and I understand the theory that food palatbility/reward is a major cause of obesity. I just have one question: Once an individual is obese, would reducing carbohydrate intake with some sort of occasional refeed help improve insulin/leptin resistance, thereby helping weight loss? Is bodily (I forget the correct term) insulin/leptin resistance even as much of an issue as hypothalmic injury and resistance? I did read about weight loss with a low-palatability diet. I'm just curious as to whether or not you think insulin resistance should even be considered a major factor. Okay, so that was a few questions. I just want to learn! "In addition, proteins require peptidases and fats require lipases, so there are losses involved in the digestion of every food group." No argument there. My point was that there are MORE losses depending on how unrefined the food is. In the context of this post, it's starch vs. pure glucose, but we could make the same argument for a steak vs. a protein shake too. You're still getting more net calories because your body doesn't have to break the food down. In the starch case, you also get even less net calories because some of that is fiber and water. To me, it is just another piece of evidence that mirrors my personal experience. I think the vast majority of people would lose a considerable amount of weight if they simply only ate "real" food the vast majority of the time. I also think our health care costs would tumble dramatically if the vast majority of people switched to a similar diet. Processed crap that passes as food is putting an enormous strain on our health care system. In the summer of 2000, I weighed 160 to 166 pounds EFFORTLESSLY at a height of 6' 2". I ate the CRAPPIEST diet you could think of back then. Yet, I was very lean. I did not exercie that much. I only did normal life walking. Perhaps 2 miles 3 times a week at the very most. My thin GENES kept me lean. There are plenty of people who can get fat on a REAL food diet. There ARE also FAT hunter Amazonian people. I have SEEN them in person AND on videos. People are people. They come in ALL shapes and sizes- INCLUDING various paloelithic type cultures. That is the reality of it. Anything else is FANTASY. Dietary linoleic acid elevates endogenous 2-AG and anandamide and induces obesity. Are we turning our kids into Munchy Junkies? and if Sucrose Counteracts the Anti-Inflammatory Effect of Fish Oil in Adipose Tissue and Increases Obesity who really believes in the context of modern omega 6 high diets sugar is safe? Another interesting study related to this issue was a paleo diet type study from a few years back. Eades and several other posted on it because there were great results. And the diet included a lot of fructose. Are there people who could get fat only eating real food? I bet there probably are. It's just one helluva lot harder to get fat eating real food than it is eating pizza. I love steak. I will often have steak and eggs and a spinach salad for dinner. Despite loving steak, I don't eat 2 pounds of it. If I still ate pizza, I could easily polish off a large pizza with the works. And doing that too often and I would be right back to 270 pounds. Very few people truly get the urge to overeat on real food. They will grossly overeat on Doritos, cinnamon buns or pizza, not on steak and apples. I think Stephan is really onto something with food palatability. Certainly I think it is a factor in why people become obese in the first place. I won't pretend to understand his theories on how these foods can then change how our bodies react to food and keep us heavy. However, I believe very strongly that highly processed food with high sugars of all sorts, PUFAs, highly processed grains etc.. are a factor in why many, many people get too heavy to begin with. For myself, no permanent damage to my metabolic system was done when I was heavy and eating crap. When I made the change to "real" food, the changes in weight and in health in general were dramatic. It's been 12 years and at 52 I am considerably healthier than I was at 40. I don't believe for a second that would have been the case without a dramatic switch in diet. Is there a place for "genes" in determining people's weights? Of course there is. However, I think dietary choices are also a huge factor. Food manufacturers are smart. They make palatable foods that are calorically dense but nutritionally deficient that can become addictive and then bombard the hell out of us with clever marketing to make sure we eat as much as possible. I feel great empathy for heavy people. I have been there, know how difficult it is and also know that without a lot of research it is difficult to know how dangerous much of our "food" supply really is. We are told to eat tons of "grains" and so many "health" foods are actually processed crap. I was in my local organic market a few days ago to pick up chicken liver, hearts and eggs and a few fresh veggies and fruits. The person in the checkout in front of me,(and keep in mind this is an organic food store) had virtually no real food in her basket. She had crackers, chips, rice cakes, some bars of some sort and a few cans of stuff. The only real food was a few apples. I am sure she is convinced she was eating right and I can;t blame her one iota. But was I surprised she was 30 pounds overweight. No I wasn't. We live in a culture where eating poorly is heavily promoted by varying interests. It is extremely difficult for most people to make the right choices in how to eat, not only because they are bombarded constantly by messages to eat that crap and they are surrounded by it everywhere they go, but because there is not enough of a widespread understanding of how bad much of what we eat is for us. Could the sense of smell be a determining factor?- especially considering the sugary beverages. For some darn reason I seem to like Seth Roberts theory that it is the familiar smell of the sugar drink that is the problem. Take an unfamiliar scented sugar beverage and the negative effects go away. Nose plugging can accomplish the same effect, consuming processed (flavorless) sugar causes similarly little/no weight gain. I say the nose and it's association with the oral cavity has a huge story to tell (ie. hormone response and more). The United States of America is actually not eating that bad, but the media will never tell you this. The media are a bunch of activists etc. promoting myths. CDC link to the data in the article. There are lots of myth out there, but in general Americans are NOT overeating "vast amounts of junk." Although as mentioned, myself as an indivual is different. I WAS eating a lot of junk back in the summer of 2000 (but was super skinny). That was bad for my cellular health. No menaing ful discussion of obesity will ever occur until we take the blame and behavior out of it. Bad behavior accounts for modest weight gain. True obesity is different. *Do we know if she had a DISEASE ( certain disease states increase obesity) ? *Do we know her family genetics? *Do we know if she has unfortunate gut microbiota? *Do we know if the said woman's mother had a poor diet when she was in utero, presidpoding her to obesity later in life ? *What is her exposure to toxins and chemicals? Is it repeated and very significant? The playing field is not at all even for many obese people ewen compared to you and I. And most importantly we should not at all judge her in the first place . Her obesity is not my business. And on top of that is very complicated and the reasons behind it could not at all be her fault. When I see a morbidly obese person, due to my education, I now think nothing. Science has turned up many, many things about obesity which have nothing to do with behavior. Poor lifestyle does NOT account for TRUE medical morbid obesity in society. It ONLY accounts for a small gain of about 5 or 10 pounds. Normal people cannot get as big as Manuel Uribe or even 600 pounds from over eating. Something in a morbidly obese person';s system is VERY BROKEN. My naturally thin brother will gain A BIT if he has a poor lifestyle ( 8 pounds tops) but he loses it again when he returns to his previous good lifestyle. This is entirely different from obesity. Very modest weight gain from a careless lifestyle is A LOT diffrent than TRUE obesity. Morbid obesity is SO, SO , SO much more than "healthful eating and exercise'. SO much more. In fact there is something different about these poeple that RESULTS in obesity INDEPENDENTLY of caloric intake as BARIATRIC surgery results STRONGLY imply/. My 2012 donation for support of this work hasn't been made yet. I'll write the check this afternoon! On the Media last week mentioned a book (Too Big to Know) about the effect of the internet on knowledge. One thesis is that from now on at least some books will be written with active interaction of author/s and readers. That seemed like a strange and unlikely process to me until I realized that something like that is what is going on here! I would think just feeding rats sugar water would cause overeating simply because you get reactionary hypoglycemia. the sugar is unbuffered. sugar tastes great when your hungry and recovering from a weight reduction diet, or are glucose intolerant and need your blood sugars to be artifically high in order to get sugar in due to osmosis to somewhat overcome the resistance. if you had asked me several years ago about sugar I would say it is bad and makes you overeat simply because it tastes good. now ask me and I will say it is because of glucose intolerance (which has several reasons for it)you don't have to be fat by the way to be glucose intolerant there are various degrees of it and a genetic component. here is an example about 1 year or so ago I could eat a tablespoon of raw honey with no problem now it is sickingly sweet and I can only eat a teaspoon with a crunched up face going yuck? (for teh purposes of getting my blood sugar up when I get the jitters or because the wonderful enzymes found in raw honey)with some apple cider vinegar. it tastes good no doubt but that in no way makes me overeat on it. the rats probably got fat on it because they were malnorished or undereating in the first place, I mean animals can't say hey I am still hungry feed me more to the humans. many times people feed animals to maintain their weight but their weight may not be at setpoint for them. the chow may lack certain nutrients or phytochemicals they need, they don't get much sun in their cages and not much in the way of their normal wild foods that are high in omega 3 and vitamin d vita k etc and how many really know how much of these a rat needs? so they may desire the sugar water in excess because of their being below weight setpoint and because of glucose intolerance. I bet if they put some vita d3 in there with some omega 3 the story would be different.maybe add some calcium and chromium and possible a little saturated fats to buffer the sugar and aid absorption of the vit d and k it would had a different outcome. lets face it people are suffering due to malnutriton. we don't get enough calcium, vita d k a chromium, vita c, vitamin b's etc. we are starving naturally this will have an effect on our response to junk food. we get hungry and out of habit or simply because of this glucose intolerance due to the malnutritonal we get stuck in a cycle. believe me been there done that. but once you get those nutrients in abundance by making a conscious effort and making sure ot get enough natural saturated fats and omegas and fiber and more nutritious carbs like fruits and veggies that can be reversed. before i could not pass the ice cream in the store and not buy a half of a gallon (and eat the stupid thing in two days) simply because I was craving it and it looked so good now it rarly gets my attention anymore. by the way if you say yuck to cod liver oil I bought this high quality stuff and it tastes like lemon and the after taste is lemon. it was very expensive but worth it to get omega 3 and vita d and vita a which I read in some studies is important for insulin sensitivity and body fat control. it is not like i plan on using it forever just for a while to up my omega and vita d status. As Stephan mentions above, (something I think Lyle McDonald, Alan Aragon, Evelyn "Carbsane" have all pointed out), the effects of these nutrients (glucose, sucrose, fructose) in excess is far different than in an overall calorie deficit. Absolutely outstanding Stephan. Its people like you, Masterjohn, Melissa, Stone, Colpo etc exposing the low-carb paleo dogma for the BS it is, that give me hope. Taubes, Sisson, Eades, Harris, Nikoley - their silence is deafening. As the old saying goes, the fruit doesn't fall far from the tree. Colpo? Colpo? How disingenuous of that charlatan to link to Stephan's site at his site, as if there beliefs are 100 % congruent . They are polar opposites as far as acknowledgement of the involuntary homeostatic neural circuitry system which regulates body weight. Colpo thinks obesity is all behavior and his info is NOT congruent with what the TOP most pioneering obesity scientists in history have said. I ASSURE you Taubes is FAR smarter than Colpo. ( so is Michio Kaku) He is a respected writer on the hard sciences. Yes, perhaps his obesity science is not complete, but NEITHER is his attackers- they are MUCH worse. If you have a problem with low carb guys that's fine etc. I am not really low carb myself. But please cite Colpo as reputable. He is the biggest CRANK on the Internet. He has twiested everyuthing I gave said to and portrayed me wronmgly. That is typical of scammers. Thatguy is as shady as they come. NOBODY did more for him than I- follishly.I was gullible to people like him back in 2005. There is waaaay too much Taubes bashing. What Internet poeple FORGET is that BOTH CAMPS ARE WRONG. BOTH camps are asking "what cheese is the moon made of?" Gary Taubes attackers do not understand what the REAL science is saying about obesity either. That Colpo guy is in SORRY need of an education about morbid obesity AND coronary artery disease. I have COMMUNICATED with several obesity scientists and they do nto at all take Colpo serously. Only cranks associate with him. EVERYBODY who was a doctor on yahoo answers warned me to discrad him. That said he has a profound lack of understanding of basic biology. It is a social MYTH. it's noting more than a social MYTH serving to stigmatize the obese PREDICATED on an outdated Hippocratic nostrum. Linda bacon does NOT have a good opinion of Colpo. I assure you taht. And she knows the literature FAR better- FAR better. Interesting post - it took me my entire commute to work (via bus) to read and absorb it. You say, "It's worth noting that these volunteers were receiving very large quantities of refined fructose, which it would be difficult to obtain via a normal diet." That is, unless they are one of the people duped into using "Agave Nectar", which is essentially pure fructose syrup. I bet there are thousands of Americans poisoning themselves and their children with dangerous quantities of fructose through the use of agave sweetened food and beverages. The reference to a mainly fruit diet (29) is fascinating. The paper's authors were prompted to do the study after meeting a 45-yr-old physical education teacher who had followed a fruit diet for 12 yrs. She began it in response to "loss of weight, progressive muscular weakness and tiredness." After initial further weight loss on the diet, she gained weight and maintained it. Clinical examination and fitness tests showed her in excellent health. The study's diet was based on this woman's practice of eating 450g of avocado, 30g nuts, and any available fruit daily. Interesting also that some of the subjects were Bantu mental patients (schizophrenics) who really took to the diet and did well on it: "their interpersonal relationships, co-opertiveness, and interest in their surroundings were excellent." A big thumbs up for fresh fruit. seriously you are a brilliant thinker, Stephan and i completely follow all of your logic after i studied your food reward theory in detail. i don't regret donating to you at all, and will continue to do so in the future when my funds improve. as a medical student and future aspiring surgeon, I will definitely incorporate elements of your work and posts into my own thinking to fight obesity. wow ... all that because an email wasn't answered with 10 seconds. > unless they are one of the people duped into using "Agave Nectar", which is essentially pure fructose syrup. Only ever seen it in small, expensive packages, and only in health food stores. Poisoning's likely rare. Not impossible though ... is it available in cheap bulk in your neck of the woods? minimum 4 times the per-gram cost of big box retail sucrose, usually much more. I recently too was in a check-out line in a healthy food store and girl who was thinner than me had whole cart of organic junk, mostly drinks, worth $160. So what? Probably, she was looking at me and thinking that my grass-fed liver, tong and butter were doing a number on me. Each time when I hear than eating "real food" would cause weight loss or prevent a weight gain, I roll my eyes, because it makes sense only in America.I am from different culture, have been eating "real food" all my life and know many who did the same in my native country and such people are all in different sizes. The only real difference - no fat children and no hordes of morbidly obese. Most middle-aged women are overweight, basically all old folks are skinny fat or fat.I myself have to be on a low-carb diet in order not to regain lost weight. If you're writing about Kurt Harris, his views have changed quite a bit in the last while. I learned yet again, for the N-th time through my ... ahem ... dialogue with Dr. H. that people can follow a sound process in good faith and still reach different conclusions. The implication here is that fructose is bad in certain contexts especially relative to other simple sugars, notably, glucose. At what point do you think fructose starts to become actively harmful relative to glucose content and do you think the fructose/glucose breakdown of fruit is ideal? Also, what do you make of the possible objection that sugar is bad only in the context of high PUFAs. If this is the case, would you agree that refined sugar is no more harmful than white rice in the sense that it is not nutrient dense but also not actively toxic. Not enought info on the good benefits on sugar only bad ones..!! So nothing new under the sun. But with sugars rehabilitated and starches coming back on the menu, what's left of the Paleo diet? I guess we still aren't suppose to eat some vegetable oils and stay off processed foods, but so do the italians, the french and a lot of other traditionally oriented cultures. The Paleo diet is reverting to the mean. Lars, unlike the diets you mentioned, the Paleo diet still has sound foundations in our prehistoric history. Simply put, the Paleo/Primal diet is to eat the sort of foods are paleolithic ancestors ate, like grass-fed beef, bacon, butter, colorful vegetables (tomatoes etc), and probiotic foods like yogurt and kefir. And avoid foods that were not available to our ancestors like vegetable oils, sugar/honey/HFCS, fruit (apart from berries which are fine in low amounts), grains and most kinds of modern processed food (except whey protein powder and a few select supplements). To compare this to the French or Italian diet is quite simply naive. And dark chocolate. It is full of polyphenols which can reduce blood pressure, which is why our ancestors never died of heart disease. I think you are right about sugar; but two points did occur to me. Thinner people might eat more sugar because they can, or because they need to for energy. The reductions in the fruit and nut diet could be due as much to the nuts. There's a lot of research suggesting that the presence of nuts in a diet is conducive to weight loss. Stephan, one aspect relating to sugar and health not discussed in your otherwise quite comprehensive piece is sugar addiction. Do you have an opinion about whether this is an actual phenomenon and, if so, how one should deal with it? I am 25 years old, i eat more but their is no increase in weight pls give some tips How to become fat fast before my marriage? Very interesting post as always. Everybody knows a lean diabetic. If fructose is not inherently fattening, but nonetheless causes metabolic syndrome, then it sounds like it should still be avoided. Any idea how these native groups who have very high fruit diets are avoiding metabolic syndrome and diabetes? They should be getting a ton of fructose from their fruit diets. It sounds like the studies have shown increased fructose intake triggers metabolic syndrome even in people who don't gain weight. How would these lean fruit-eating tribes escape it, while lean Westerners are often getting diabetes? "My point was that there are MORE losses depending on how unrefined the food is. In the context of this post, it's starch vs. pure glucose, but we could make the same argument for a steak vs. a protein shake too. You're still getting more net calories because your body doesn't have to break the food down." I don't agree. I still believe that enzymatic conversion losses are zero (as the reaction proceeds in one direction only). "In the starch case, you also get even less net calories because some of that is fiber and water." I agree. Fibre+water carries calorific stuff out of the body. My biggest question is what kind of fruit was the high fruit / low nut study group eating? Fruits aren't all created equal. Also was this group was composed of mainly healthy to mildly overweight people? I think you likely right that sugar itself is not inherently fattening to healthy people (wight fruit being the best choice). However, once obese/over weight I think the game changes. Using studies of how sugar acts in the bodies of non-obese is not evidence that it will act the same for obese. Nigel, don't enzymes have to be produced by the body on contact with food (such as amylase, etc.)? I think that would have an overall energetic cost then. Even if the actual conversion by the enzymes of the food doesn't have a cost, you still need more enzymes in order to degrade bigger pieces of food, no? "Nigel, don't enzymes have to be produced by the body on contact with food (such as amylase, etc.)? I think that would have an overall energetic cost then." I believe so. However, enzymes aren't destroyed by the reactions they catalyse (except for peptidases), so a little goes a long way. "Even if the actual conversion by the enzymes of the food doesn't have a cost, you still need more enzymes in order to degrade bigger pieces of food, no?" I don't know. Pepsin, trypsin & chymotrypsin have to be secreted continuously in response to proteins, as they autolyse themselves. stephers, first of all sucrose is not the same as fructose, there are no natural foods that contain only fructose without complementary glucose (all fruits contain sucrose as well as free fructose balanced with free glucose), so its probable that our bodies are not as well-adapted to metabolize pure fructose as opposed to sucrose or fruits containing near equal mix of fructose/glucose. One example in favor of this is that people with fructose malabsorption can tolerate it much better when balanced 50:50 with glucose. 21: Triglyceride levels initially higher in fructose than glucose-fed rats, but after two weeks triglycerides are starting to dropp in fructose-fed rats while they increase in glucose-fed rats, so that the levels would probably have equalized if the rats had been followed longer than 4 weeks. No difference in plasma glucose or insulin after 4 weeks. 23: No difference in liver weights or visceral fat depots between rats given glucose, fructose or sucrose water, rats fed granulated sucrose actually had less visceral fat than rats given glucose water. 28: No difference in liver weights, liver function, insulin, glucose, C-reactive peptide, cholesterol, triglycerides, VLDL, LDL or HDL, between rats fed plan water or water with glucose, sucrose, fructose or HFCS. Then there is another study I was missing from this post, since I think it is the best animal study on the long-term effects of dietary sucrose. Here mice of a particularly obesity-prone strain were given high-starch, high-fat or high-sucrose (about 60% of total calories) diets for a full 55 weeks, this is more than half their normal life span. In the end there were no differences in body weights, visceral or subcutaneous fat depots, liver weights, liver lipids, serum triglycerides or cholesterol between starch and sugar-fed mice. Sugar-fed mice had significantly lower insulin than starch-fed mice, and higher insulin sensitivity as measured with ITT. This in my opinion is strong evidence against any hazardous long-term effects of sucrose, but in the short-term, changing an animals diet from low to high-sugar will induce metabolic changes that can be interpreted as "bad", though more likely they're just transient signs of metabolic adaptation. 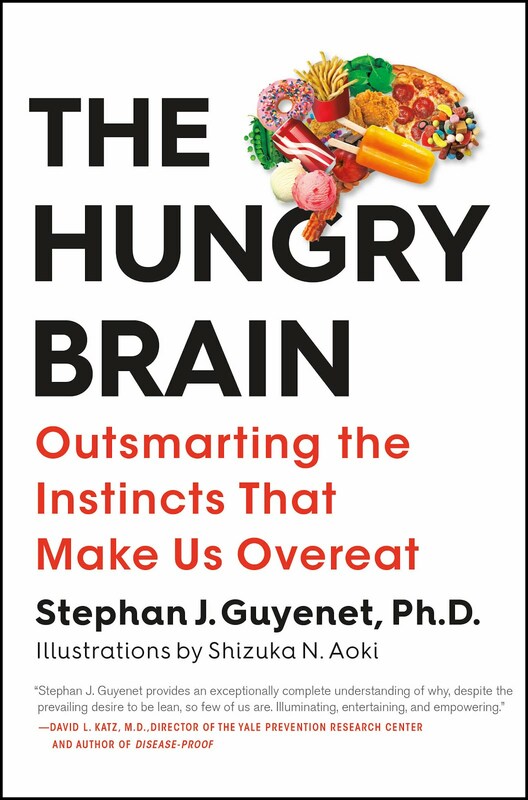 Also, Stephan, against the argument that observational studies of sucrose and BMI are not reliable because overweight people underreport, this should then apply to all foods and behaviors perceived to be unhealthy. But unlike consumption of sugar and sweets, consumption of fast-food, snacks, sodas and things like hours spent watching television, are not negatively associated with BMI. This was a really good post by the way, Stephan. Compared to those on a high starch diet, women on a high sugar diet have increased lean body mass, higher energy expenditure, and decreased body fat despite eating more calories. My guess is that in order to became fat fast it is good to consume between meals and before night time something liquid that contains a lot of sugar and fat. Melted ice-cream drunken through the straw meets the requirements 100%. I'm fascinated by the rat sugar taste preference chart. The preference for sugar water rises at around 15%. The reason I think this is interesting is because the sweetest fruit I know if is grapes, and they have a sugar content of 15% (per nutrition data). (Does anyone know of a sweeter common fruit? Apples and oranges are ~10%, and berries are typically 5%-10%). So you didn't explicitly call out the percent sugar of fruits, but they peak (so far as I know) at 15%. Oh wait, yet also interesting -- dates have more sugar -- they're 66% sugar. So they aren't below the "high reward" zone, instead they're above it. This suggests to me that diluted fruit juices which have sugar content below 15% ought to be a "safe" treat for kids, probably not causing the compulsive return for more. Stephan, you typically don't respond to comments, but I at least hope you make note of this wish: I'm interested in the "safe" and "high-reward" zones of sugar & fat combinations. And, I'm rather interested in your hinting that there's a preferred concentration of fat, independent of sugar. I honestly wonder if there are "less bad" formulations of ice cream. (My ice cream recipe is a pint of whole cream, 9-10 egg yolks, and ~30 grams of honey, which ends up around 4% sugar). I hope you write further about what you know about the various boundaries of low reward and high reward concoctions. I know you highly recommend against eating out. My friend thinks Subway is more along the lines of plainer food just because its taste isn't extremely strong. I told him that Subway is a multi-billion dollar company that has obviously engineered its "simple" subs to be highly rewarding nonetheless. Hence everyone loves Subway. Would you agree? Could you perhaps consider another referencing style? It's hard to follow yor references as you only give a number of reference. Fructose is poorly absorbed by many. Gluocose increases its absorption whereas sorbitol (like in prunes) inhibits its absorption. All this is reflected in the GI value of pure fructose which is around 20. Does this add anything to the whole picture. Nice blog. I will keep reading. Please take the time to visit my blog about Hatha Yoga. For a more complete scientific explanation read "The Art and Science of Low Carbohydrate Living" by Jeff S. Volek PhD, RD & Stephen D. Phinney, MD, PhD. I don't think that a few decades of research performed by these people and the few decades of clinical practice by Dr. Eades and others can be so easily dismissed by a blog post, half of which is devoted to rats. Your conclusions in this post closely mirror my own conclusions on sugar that I've come to over the last 6 months or so, primarily through n=1 experimentation (eating a large portion of my calories from orange juice and ice cream). I'm excited to have a place to point people going forward. I too am interested in your take on Peats pro-sugar (especially fructose) position - and what are the dangers of sugar in a low-PUFA context? @Colldén - thanks for your reply. I am still puzzled however. I have read a lot of study reports about fructose consumption in humans contributing to metabolic syndrome. I don't understand why (other than speed of absorption) fructose from refined sugars would be worse than from unrefined sugars - it all has to be processed by the liver. This gives Coke the same fructose to glucose ratio as, say, apples. Now if someone is getting most of their calories from apples, and someone else is getting most of it from Coke, wouldn't they have the same metabolic syndrome problems? If large amounts of daily fructose are bad, I fail to see why it makes a difference to the liver whether the fructose is coming from Cokes or from apples. "It was found that drinks that contained HFCS had high levels of reactive carbonyls, compounds associated with “unbound” fructose and glucose molecules that are believed to cause tissue damage, which could cause the disease. While presenting the study at the 234th national meeting of the American Chemical Society, Dr. Ho said that reactive carbonyls are not present in table sugar, whose fructose and glucose components are “bound” and chemically stable. They note that non-carbonated fruit juices containing HFCS have one-third the amount of reactive carbonyl species found in carbonated sodas with HFCS, while non-carbonated tea beverages containing high-fructose corn syrup, which already contain EGCG, have only about one-sixth the levels of carbonyls found in regular soda." There seems to be a link between carbonation and the damaging effect of the fructose in soda. However, I doubt the rats (and people) in these studies are being given carbonated sodas for their fructose source, yet they develop metabolic syndrome signs. Given the studies that also show problems with diet soda consumption, I have always had a sneaking suspicion that caramel coloring will turn out to be the real culprit in all this. Wouldn't that be something! I know a number of lean Type II diabetics in their 40s. This disease used to be rare. Now it is common, even among the non-overweight. I have to wonder what is causing it - and how to avoid it. I have read of Type II's reversing their diabetes by cutting out carb consumption, one example being Jeff O'Connell's "Sugar Nation." He was lean, fit and diagnosed as prediabetic, and got himself back to fully normal fasting blood glucose just by cutting out carbs and exercising. I don't think carbs are off the hook yet. Why is this at all surprising to anyone? What we know is that a fairly wide variety of diets in a variety of cultures are associated with much better health outcomes and much lower obesity rates than the typical Western one. These have included diets high in natural sugars, have included diets high in grains, have included diets high in foods with alleged "antinutrients" like phytic acid (amazingly enough cultures with diets high in foods high in such "antinutrients" have great health outcomes). The one clear loser is the modern Western diet high in food like substances, designed by humans as supernormal stimuli to serve the function of selling more cheap crap for much more than it costs to produce. You like meat? You can eat healthily eating a fair amount of it so long as you avoid the sodium, nitrate, nitrate added processed crap. Probably better off with more fish and game than modern factory farmed stuff, but a relatively minor point. You like the concept of vegan? (It IS better for the planet to be eating less animal sourced food and more from plants, and often cheaper too.) You can eat healthily without animal sourced protein too. You like pasta? A Mediterranean diet will work fine. I think the link to the "That Paleo Guy" blog will contribute to the discussion about fattening or not effect of the diet heavy in fruits. "This suggests to me that diluted fruit juices which have sugar content below 15% ought to be a "safe" treat for kids, probably not causing the compulsive return for more." No. Ingesting sweet liquids (especially when there's negligible protein or fibre in it) results in overconsumption and repeat consumption. Soft drink & juice/smoothie manufacturers aren't stupid. The problem with fructose is that it can cause copper deficiency. Copper deficient animals and fructose fed animals have many of the same symptoms, resembling human non-alcoholic fatty liver disease (NAFLD) which is associated with abdominal obesity and has recently been linked to low copper. It's the iron that causes the damage. Iron cannot leave the liver without copper. And that's aside from the dental issues which surely are far worse with juice than say a complete apple, that mechanically removes some debris as it's eaten. You can't keep a youngster away from juice they've gotten the taste for. Where does JUICING fit in, in relationship to eating fruits and drinking refined sugar? I would think by removing the fiber, the fructose in a sense becomes refined, and therefore just as fattening, no? Just overheard part of a NPR "Talk of the Nation" interview with Dr. Robert Lustig on the evils of sugar, especially fructose, and a call for regulation and taxation of it, similar to alcohol, to combat the metabolic syndrome epidemic. Program is about 18 minutes long if you want to listen to it. Robert Lustig's data is a bit more complete than this post. The physiology of fructose's poisonous effects are almost indisputable at this point. Everyone owe's it to themselves to watch this lecture if you think fructose is "off the hook". I am not sure how to interpret this post in light of a previous one on fructose and its clearly damaging effects on metabolism, from visceral fat to small particle and oxidized LDL to insulin sensitivity. People on a primarily fruit diet should be getting an enormous amount of fructose - more than the people in that study in the prior post, who had devastating consequences from even 25% of daily calories from fructose for just ten weeks. Any ideas on why a frugivorous diet doesn't have this effect? Or is it possible it does but we just don't have the data like we do for the people in that study? I have previously seen Lustig's lecture that was linked to above and what he says there is completely consistent with the data provided by Stephan. He takes the position that fructose in natural sources is more than okay because nature has packaged it with its "antidote" - fiber. What he fails to do in that lecture is provide any explanation of why fiber functions as that "antidote." This (http://jn.nutrition.org/content/138/3/439.full) is a pretty good review. Can anybody here please show me a study that shows that fructose, not a high-fat diet, causes liver damage? I haven't seen a single study showing that fructose harms the liver. In fact, all the studies I have seen showed that fructose, or sucrose, are superior to pure glucose. "high-fructose diet induced dyslipidemia and hepatic and adipose tissue insulin resistance." The hypothesis that fructose plays a major role, a "first hit" in non-alcoholic fatty liver disease is laid out here: http://www.nature.com/nrgastro/journal/v7/n5/full/nrgastro.2010.41.html but yes at this point that is speculative. The two studies you linked to do not seem to actually support your contention btw. In one sucrose (roughly half fructose) relative to starch impaired the action of insulin, presumably because of its action at the liver. In the other 1997 one a high starch diet led to decreased energy intake and loss of body weight compared to either high sucrose or high fat. The sucrose condition did also expend more energy but not as much more as those in that condition took in. I cannot see how either of those support the contention that you claim. Thanks for your reply Don. I'm not sure how satiety and reduced consumption would help a frugivore, though. They still are going to eat an enormous of fructose because fruit is their primary source of calories. They might not overeat (i.e. become overweight), but won't they still have the problem of visceral fat/fatty liver? Not sure how insulin sensitivity would help with that. "Nonalcoholic fatty liver disease is not associated with increased all-cause or cardiovascular mortality, according to a study published online November 18 in the British Medical Journal." In fact I'm puzzling over the whole visceral fat thing - why does the body store fructose fat there, and glucose fat elsewhere? Why does the body have visceral fat at all when it seems to just be a bad player? Doesn't seem to make evolutionary sense. If anyone has a link to a good overview of visceral fat (and why the body makes use of something that seems so inherently bad) I'd appreciate it. Everything I read about it reminds me of reading about LDL in the mainstream press: it makes you wonder why the body would even make such a thing. "Now a study in the February  issue of The Journal of Nutrition reports that fructose consumption may increase cardiovascular risk factors because it increases visceral fat." From the sbstract: "In adolescents, higher fructose consumption is associated with multiple markers of cardiometabolic risk, but it appears that these relationships are mediated by visceral obesity." I wonder if a study has ever been comparing equivalent amounts (in calories) of fruit consumption vs fruit juice consumption, say 500 calories of oranges vs 500 calories of orange juice, per day. The results would be interesting. In the rat study, sucrose did not lead to impaired insulin function. They had a little higher insulin levels, nothig that would indicate insulin resistance. It's seems redundant to debate over almost identical insulin levels when all the more important health markers (LBM, brown fat, metabolic rate)are in favor of the sugar. There is also no evidence that sucrose causes insulin resistance in humans. Yes, in the Raben study, starch caused the women to lose weight. But they lost more lean body mass than fat! Thus, they lost muscles which burn fat. Sucrose increased the weight of the women. But the sucrose group didn't gain fat, only muscles. Thus sucrose increases not only your engery intake but also your metabolic rate, and your ability to burn fat, by increasing muscle mass. Muscles burn mainly fat at rest. So, both studies show that sucrose consumers, eat more without gaining fat. They have more lean body mass, and less body fat. Also their fat consists of more good brown fat. They have a higher Energy Expenditure, meaning that they burn more calories and generate more heat. That is consistent with my own experience. I recently had a liver panel done with excellent results. I also have almost no body fat. Despite the fact that I eat about 180 grams of evil fructose (> 300g of sugar) every day. That's more than three times the amount Lustig says is still tolerable. Others have made the same experience. If you know Danny Roddy, ask him how he feels about sugar, liver function, and weight gain. In the first study you cite, fructose showed the same insulin and glucose values as the other trials. Fructose consumption initially increases triglyceride production, but that isn't necessarily bad as you probably know. Don't you wonder why they measured the fishoil values after 28 days and the fructose group after only 6 days? Maybe the results for frcutose would have shown very positive results after a month. I think it is generally a good idea to read not only the conclusions or abstracts of a study. Especially with sugar, cholesterol, or saturated fat, most of the studies are designed to get the results that are wanted. The circumstance of lots of fruit availability was likely uncommon for most during most of modern human evolutionary times. When it was available the wise metabolic tactic would be to use the fructose for energy, drive supplies into cells all over, avoid burning any stored fat for while, don't gorge but do build up some extra long term stores to get through the next period of scarcity and if possible particular for sudden emergencies as enemies may be energized too. Fructose metabolism in fact meets those goals. Ingestion of fructose inhibits adipose tissue lipolysis. It also gets metabolized by the liver rapidly during exercise (read normal activity for ancestral humans) into forms that the muscles can use, both immediately for energy, and, in the context of high insulin sensitivity (hello fiber), into muscle glycogen stores. Why visceral fat at all? Here I need to become even more speculative. First because high fruit consumption would be in the context of not overeating (fiber leading to satiety) and thus less fat accumulation, and much of the energy being stored as muscle glycogen (fructose decrease of adipocyte lipolysis while fiber increases insulin sensitivity elsewhere), it is unlikely that high natural fruit consumption coupled with normal ancestral activity would lead to much visceral fat. "Insulin effect is lower and catecholamine effect higher in visceral adipose tissue, with its metabolites and its secretions draining through portal system, partially at least, to the liver. Thus, visceral cells transfer and release fatty acids more extensively, have increased glucocorticoid and reduced thiazolidinedione responses ..."
So a little bit stored can provide a bit of extra easily mobilized energy in times of crisis and under ancestral conditions there would never be more than that little bit stored. Very interesting Don, thank you. I was actually just reading that visceral fat is the hardest to lose, and that even normal weight people can have unhealthy amounts of it. It appears the magic word is "exercise," aerobic exercise seems to decrease it much more than dieting does, which fits your "Just so" story. Dieting seems to act on subcutaneous fat, if I understand it correctly. And the article you linked about losing it first refers to the effect of aerobic exercise. All starting to make sense now. So I guess after low-carbing my way back down to my ideal weight (lost 20 pounds so far just from cutting out the sugar), I will still have to huff and puff to get rid of the hidden visceral fat, or at least redistribute it to subcutaneous fat! Oh well, exercising is much more pleasant at a lower weight anyway. Right now it would probably just hurt my knees. Which reminds me, speaking of exercise and fat, any idea why swimming is notorious for not causing fat loss? I have heard theories that the body is cold in the water and thus is reluctant to lose any subcutaneous fat "insulation," but this was from unscientific sources, to say the least. 1) That was a euglycemic clamp study, not insulin levels. It showed that more glucose was needed to maintain euglycemia at the same level of insulin infusion. A pretty good measure of insulin function. The study showed sucrose significantly impaired hepatic insulin function in rats. For what that is worth. 2) Given the small role that brown fat plays in human function, and the great difference between brown fat function in rats and humans, I cannot be impressed by rats' greater brown fat deposition. 2) Bottom line was that only the starch group lost FM and had more energy out than in. You are entitled to read that study as showing what you want to believe; I do not see it. I don't see them showing much of anything really. Not sure where you get the idea that muscles mostly use fat for energy at rest. Happy for you that your nutrition plan works for you. Only you can determine what works for you. My guess is that the weight bearing and eccentric components of other exercise produces a certain amount of micro-injury that requires energy to repair later on; swimming has less of each. Thus swimming would have less post-exercise oxygen consumption (EPOC) and calorie burn over the course of the day. If I have time later I'll try to find a study comparing EPOC for swimming versus running at the same calorie burn during the activity. Well I can't find anything on EPOC from swimming vs running, but I did find a study about your juice versus fruit question. Most fruits evoke less of an insulin response that do their juices with grapes/grape juice being an exception. FWIW. "A 7-d high-fructose diet increased ectopic lipid deposition in liver and muscle and fasting VLDL-triacylglycerols and decreased hepatic insulin sensitivity"
Effects were greater in the healthy offspring of those with Type2 DM. Note: this was fructose as excess calories. It may not be true if calories are kept within the range that prevents weight gain. And again back to why fructose in real foods with fiber (and phytochemicals) seems to be just fine. "One major limitation of our study was that fructose was administered as part of a hypercaloric diet. Therefore, it was not possible, based on the present data, to determine whether the increase in IHCLs was due to energy overconsumption or to the specific effects of fructose. It has indeed been shown that short-term fat overconsumption also increases IHCLs to a similar extent (4, 31). No data are available regarding the effects of fructose compared with those of glucose or starch on IHCLs in humans, but it has been reported in rodents that 2 wk of overconsumption of fructose, but not glucose, markedly increased IHCLs and plasma triacylglycerols (32). Of the postulated mechanisms, the authors suggested that fructose decreased peroxisome proliferator–activated receptor–mediated hepatic lipid oxidation. In humans, acute fructose administration increased hepatic de novo lipogenesis and postprandial triacylglycerols to a greater extent than comparable glucose loads (33, 34). Similarly, fructose, but not glucose, administered over a 6-wk period increased fasting and postprandial triacylglycerols in insulin-resistant male subjects (26). Additional human studies comparing the chronic effects of fructose and glucose overconsumption will be required to better delineate the specific contribution of fructose on IHCLs." The rat study simply shows that sucrose is superior to starch in keeping the blood sugar at a normal level, preventing harmful hypoglycemia. The sucrose rats needed less glucose than the starch group because they had more glycogen stored(one more beneficial effect of sugar) and had a more effective gluconeogenesis during the clamp. This had nothing to do with impaired insulin function, they were only more effectively converting their glycogen to new glucose. I agree with you. The two studies do not convincingly show that sucrose is superior to starch. But they offer a small picture of how the two might work in the long run. What they do show is that sucrose had no harmful effects compared to starch. This leads me back to my original question. Can you show me a study that shows that sugar leads to weight gain or has any harmful effects as compared to starch? Jannis perhaps you might find this study of interest. They fed one group of rats 40% sucrose by calories, and the other group 40% starch by calories instead. No obesity involved. Sucrose induces fatty liver and pancreatic inflammation in male breeder rats independent of excess energy intake. "Fructose induces metabolic syndrome in rats; but studies have been criticized for using high concentrations of fructose that are not physiologic, for using only pure fructose, and for not controlling for energy intake. We tested the hypothesis that a 40% sucrose diet (containing 20% fructose) might induce features of metabolic syndrome in male breeder rats independent of excess energy intake. Male Sprague-Dawley breeder rats were pair fed 40% sucrose or isocaloric starch diet for 4 months and evaluated for metabolic syndrome and diabetes. In vitro studies were performed in rat insulinoma cells (RIN-m5F) exposed to uric acid, and markers of inflammation were assessed. Rats fed a 40% sucrose diet developed accelerated features of metabolic syndrome with up-regulation of fructose-dependent transporter Glut5 and fructokinase. Fatty liver and low-grade pancreatic inflammation also occurred. Uric acid was found to stimulate inflammatory mediators and oxidative stress in islet cells in vitro. Sucrose, at concentrations ingested by a subset of Americans, can accelerate metabolic syndrome, fatty liver, and type 2 diabetes mellitus in male breeder rats; and the effects are independent of excess energy intake." Metabolism. 2011 Sep;60(9):1259-70. Epub 2011 Apr 12.
http://www.ncbi.nlm.nih.gov/pubmed/21489572 for abstract. I couldn't find a free full text version online, but maybe I don't know where to look. To me this study is very interesting because, unlike a lot of studies, the results don't depend on the subjects being obese, which could be a confounder of the effects of sucrose on metabolism. The study you linked to is consistent with the majority of the evidence that diets high in refined sugar are not healthy for rodents. That's why the American Institute of Nutrition is trying to phase out purified high-sucrose diets in favor of starch, except for studies that are specifically studying the negative effects of diets high in sucrose. I know there is a small Internet faction out there that thinks sugar is superior to starch as a staple energy source, but the evidence overall does not support that position. So agreed that neither those studies demonstrate fructose or sucrose's superiority over starch or glucose. Yup. While the discussion section places the findings in some context of other studies with disparate results, it seems to be the overfeeding that is the more critical factor in causing effects, be the overfeeding by glucose or by fructose. stephers link was also worth reading btw. It is not so cut and dried that "nonalcoholic fatty liver disease" (NAFLD) is really damage per se, it may actually be a protective mechanism, so the speculative hypothesis that fructose is a first hit on the road to NAFLD, is one further step away from proving that fructose per se causes harm. As the actual BML article (http://www.bmj.com/content/343/bmj.d6891?tab=full ) put it: "our findings support the suggestion that people with accumulation of fat in the liver have a good prognosis with respect to mortality. One speculation is that the ability of the liver to store triglycerides may in fact be a protection mechanism in obesity.33 In the absence of such a response, free fatty acids may accumulate and lead to more severe liver damage and systemic consequences.34"
In any case, we are brought back to palatability and satiety and the common sense conclusions: real foods of plant origin have fiber along with their starch and sugars which is protective; created products without fiber (and various other components), which induce overconsumption of sugars, starch, and fats, OTOH, cause many problems. Which should surprise no one. Both my comment that you are replying to, and a comment Don left after yours (that I was notified of by email), seem to have disappeared from the list of comments. So no one can see the study I linked that you are commenting on, and I don't think Don or Jannis saw the study I linked about sucrose vs starch. Oops, it was caught by my spam filter... just published it. Ah. I thought I was just posting too much! stephers, this http://www.ncbi.nlm.nih.gov/pubmed/15902988 confirms the swimming in cold water causing more intake bit anyway. Same calories expended but exercise in cold water provoked 45% more energy intake over "neutral" (33 degree C) water afterwards. EPOC not measured. Sorry, I can't open the cambridge study you linked. I tried the link with firefox and IE but the site says file not available. Good point about NAFL. Like I said, triglycerides for example can be protective and the things they often interpret as fatty liver or metabolic syndrome are ridiculous. The bad fatty acids are NEFAs (Non esterfied fatty acids), esterfied fatty acids are not harmful. In the ectopic lipid study you posted above, fructose groups had much lower harmful NEFA as compared to starch eaters. (616 vs. 367 and 599 vs. 367) That is a pretty striking difference. Yes, I am looking for a study showing that sugar induces liver damage. But I would also like to see a good study that compares the effect of the two on the overall health of humans/rats. Like the Raben study, only longer. All studies of that sort that I have seen show not only that sucrose eaters were not unhealthier but (in my interpretation) even better off. I couldn't find a full text version of that abstract, so I can't comment on it. But even without looking at the full text, their methods seem strange. They feed the rats a diet for 4 months and then they perform in vitro experiments to evaluate their health. Probably the sugar rats showed too good in vivo results, so they had to do something in a petri dish. "Effects of a short-term overfeeding with fructose or glucose in healthy young males"
led to intrahepatic fat deposition"
Not sure why it doesn't come up for you but do a search with the title in quotes and it should pop to the top. In the study you linked comparing starch vs a 40% sucrose diets, sugar-fed rats had a large increase in triglycerides and a lesser increase in uric acid and insulin at 4 weeks, but after 16 weeks there was absolutely no difference in either triglycerides or uric acid, and insulin levels were actually significantly lower in the sugar-fed rats. This is consistent with the idea that changing from a starch to a sugar-based diet will induce certain *transient* metabolic effects that disappear as the animals adapt themselves to the high-sugar diet. As I've already linked to earlier in this comment thread, in a study where normal mice were fed either a starch or sugar-based diet for 13 months (easily the most long-term study of this kind), the sugar-fed mice did not experience any negative metabolic effects whatsoever. They did not weigh more, they did not have more of either subcutaneous or visceral fat, they did not have heavier livers or more liver fat, nor higher levels of serum cholesterol or triglycerides. They furthermore actually had both lower levels of both glucose and insulin than the starch-fed mice and greater insulin sensitivity. I'm still waiting for someone who argues sucrose is unhealthy on the basis of short-term studies or using very abstract "disease" markers, to explain these results. After Colldén's comment, I read the full text, which I managed to get from a university library database. From my reading of it, after 16 weeks the rats had pancreatic islet damage, which is why their fasting insulin was lower. At 16 weeks, their fasting blood glucose was 181, compared to 124 for the starch group (they both had a baseline of around 94). At 16 weeks the sucrose rats also had fatty liver. The tissue samples at 16 weeks show macrophages all over the place in the sucrose rat pancreases, while the starch group was normal. The sucrose group fasting blood glucose *doubled* from the baseline at the start of the study, ending 50% higher than the starch group after 16 weeks. At 4 weeks the sucrose group fasting blood glucose was only 108, and at week 16 it was 181. Transient effects? Transient on the way to becoming diabetic perhaps. If I am wrong, I hope someone will educate me, but it seems that Colldén has misrepresented the study, deliberately omitting a lot of crucial negative information about the sucrose group at the study's end, information which supports the authors' conclusions. As for the mouse study...perhaps mice (which eat mostly plant matter) are different from rats? Could you please tell how to access that database, or, if that's not possible, send me the text via email? You'd have to be a student at a university with database privileges to access it for free from home. You could probably visit any public university library though and see it online or in print there. I think emailing it would be a no-no since it is a pay database and I am being given access to it under the terms that I don't share the content. Another concern about added fructose is that it raises uric acid, which has significant effects on kidney function, hypertension, and may play a role in metabolic syndrome. Again, real food packages the fructose with its antidote, in this case fiber binds uric acid in the gut leading to greater gut excretion lowering serum uric acid levels to a greater degree than the fructose raises it; also compounds in fruits, like querctin, reverse fructose induce uric acid transporter up-regulation. "Fructose, but not dextrose, caused metabolic syndrome. Allopurinol, a xanthine oxidase inhibitor that lowers serum uric acid, was able to both prevent and reverse features of metabolic syndrome in fructose-fed rats. Allopurinol lowered systolic blood pressure, improved insulin sensitivity, and normalized triglyceride levels. Similar effects were observed with benzbromarone (a uricosuric agent). Allopurinol also prevented weight gain in fructose-fed rats, and this did not appear to be due to effects of allopurinol on diet, for rats on the control diet fed allopurinol gained weight normally. Thus these studies provide the first evidence that uric acid may have a causal role in the pathogenesis of fructose-induced metabolic syndrome. There is supporting evidence that uric acid may have a pathogenic role in metabolic syndrome. Hyperuricemia has been found to predict the development of both obesity and type 2 diabetes (29). Hyperuricemia is also commonly observed in metabolic syndrome (41), as well as in secondary insulin resistance syndromes"
"Fructose is distinct from other sugars as uric acid is generated during its metabolism . Serum uric acid levels have been found to correlate with the intake of fructose and added sugars . In turn, an elevated serum uric acid has also been shown to be associated with hypertension, inflammation and chronic kidney disease (CKD) , and early intervention trials with xanthine oxidase inhibitors such as allopurinol have been found to have benefits on these parameters in both subjects with normal and decreased renal function [5–8]. ..."
"Although dietary fructose and sugar-sweetened beverages are linked in part to the obesity epidemic,19 many of the observations of these studies demonstrate effects on BP independent of kilocalorie intake and weight gain. If modest reductions in sugar-sweetened beverage consumption on the order of one to two per day could reduce daily fructose consumption to <74 g, then this could conceivably could result in a 3- to 4-mmHg decrease in systolic BP. Not only might this reduce incidence and mortality from stroke and coronary heart disease by measurable levels, but it also may delay prehypertension and incident hypertension"
Jannis is 100% correct. A problematic fatty liver is induced by NEFA influx to the liver. Fructose lowers NEFA and should be considered curative. I actually had NAFLD at a very low bf %. At the time I was eating a low carb, zero sucrose diet. When I increased my sucrose intake to 400g, including white sugar, I reversed the condition in less than one month. Confirmed by ultrasound. A question I have.. I'm reading End of Overeating and while he is constantly mentioning sugar, fat, and salt; at some points he notes that "the potato would quickly be digested into sugar". which seems to suggest that he considers Starch and Sugar as equivalents in food reward. My question is... Is Sugar, particularly the sweet taste of sugar, different or particularly more rewarding than starch? Do the rewarding effects of sugar exceed those of fats? He mentions anecdotes about sugar being effective as anesthesia...and I wondered...how much better could it be than fat? What is so special about sugar? Thank you if anyone knows. I think one of the benefits of unrefined sugars is that they are too strong tasting to overeat the same way white sugar is. Maple syrup, honey, molasses and the unrefined dark sugars all taste like SOMETHING besides just sweet. You CAN put 2-3 tablespoons of white sugar in your coffee, because it has no taste except sweet, whereas 2-3 tablespoons of molasses is just inedible in a cup of coffee. When we switched to a dark muscavado sugar, my husband could only eat 2 or 3 chocolate chip cookies made from the exact same recipe he could eat 10-15 of before. To me, they just tasted "too rich" and I had to cut the sugar 1/3rd to find them palatable at all - they were more like fudge than cookies. Rob, I think this might vary a LOT. Personally, I would choose pasta over candy 99 times out of a hundred. Ditto for choosing pizza over ice cream. So whether alone or with fat, I find starch MUCH more palatable than sugar. I had no problem avoiding sugar the two decades I low-carbed. Before low carb, I only ate sugar maybe once a month anyways. But I missed bread, bagels, rolls, pasta, ravioli, pizza and fries every single darned day. When I had "cheat days", I went for pasta or pizza, not ice cream or candy. But then, I have little "sweet tooth" at all. I often can't eat at salad bars cause the dressings are too sweet and also sides like potato salad are too sweet (I don't know why they put sugar in something like that anyways). Juice tastes like syrup to me, and even some whole fruit is too sweet for me. My husband would be happy if ice cream were "dinner" every night. Maybe with some rotation with cake now and then. Even as a kid, I didn't like as much sugar in koolaid as other kids did. Going off low-carb, I eat more sugar cause I do eat a lot more fruit. But my starch consumption has increased WAY more than my sugar consumption. I admire what you have done here. I love the part where you say you are doing this to give back but I would assume by all the comments that is working for you as well. Do you have any more info on this? Boy do I wish honey was a 50:50 mix of glucose to fructose. Having fructose intolerance, the most horrible things happen to me when I consume honey. I have no problem with molasses or maple syrup, however. The problem with refined sugar is that in order to make it white many chemicals are being used. It is often even bleached. I suspect that it makes it toxic. "In conclusion, sucrose is not simply an energy source that may have a role in obesity, but rather has specific metabolic effects that favor the development of fat accumulation and insulin resistance independent of excessive energy intake." So how does this support Stephan's thinking that a calorie IS a calorie, and the mechanism by which sugar may cause fat gain is via food reward? Dear Stephan, should we limit fruit if we want to lose weight? I heard something about de liver not being in able to process all the fructose and convert it into fat... Sorry if you have already answered this question before, I couldn't find it in your blog. Hope to hear from you... Thanks a lot again!